The candies called jelly, gummy bears, sugar-coated jelly, fruity jelly, and beans are quite loved among kids in our country, and the essential point is the feeling these give to kids. Candy food boxes that are meant to keep these specific jellies need some features as a must. To develop an enticing appeal, there must be a window to display colorful jellies to the kids from the outer side of a box. In this way, the customers will enjoy shopping for these amazing products. Innovative ideas and developments can change the look of your assorted candy packs. The most loved candies are the hard-crunchy ones because they are the original form of candy being used all around the world. They can be packaged with the help of several different techniques such as cardboard tuck end style boxes, pillow boxes, gable boxes or gift packs. In larger amount productions, the companies have to place huge candy boxes wholesale orders to fulfill market demands and to ship goods securely. Every type of candy is packaged in its unique type of box so that it can attain an identity. For instance, little round candies can be adored by boxes made of glossy surfaced boards. On the other hand, marshmallows are usually packed in soft colored boxes. Wholesale, retail boxes are manufactured with the help of high-quality material that is nature-friendly and nontoxic to avoid any health problems in consumers. Authorities have implemented rules and laws to ensure the safety of every person eating candies. The food coloring used in these candies are 100% natural and safe as well as the printing inks are water or soy-based so that no toxins reach the human tongue either through candy or the prints on the boxes. With the term good spirits, it is meant that boxes packaging will add up to the happiness spread by candies. If the packaging is designed in dull and plain themes, then the customers will have a gloomy effect, and they will not want your candies. Manufacturers usually go for inspirational and fun ideas for candy boxes because kids easily get attracted to such sweets that have enticing covers. Box printing services offered these days consist of offset, digital and screen-printing. The technology is getting advanced with every coming day, and the customers expect high-end candy packaging to be printed with high definition images and perfect colors. Popular packaging services provide free designing to the candy producers because they want to acquire lifelong clients. 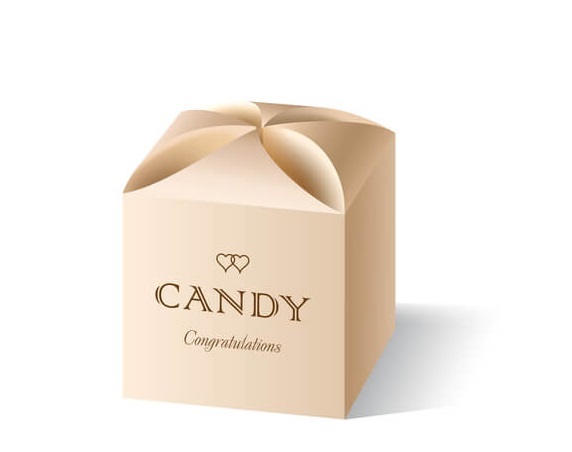 Custom printing on boxes used for candies is designed according to the contents inside. The front of packaging depicts high quality and distinct features of the candies manufactured in grand styles. The themes and ideas are so amazing that they require the variety of finishing techniques to enhance their grace and charm. The packaging must have an emotional trigger that along with making it look scrumptious also creates an attachment for buyers. Two types of packaging can be introduced related to candies, such as the box full of same pieces or an assortment package, which has all the delicious flavors your firm is offering. These assorted packaging boxes have a blast of colors and images printed on it to highlight diversity or candies inside. Printing and packaging both are done with immense care to ensure equal distribution of variety in each pack.